Amaircare 6000V Cart Airwash Air Scrubber heavy duty portable VOC air purifier features filtration for a wide variety of industrial applications: construction & renovation, fire & mold remediation, marijuana dispensaries, welding and print shops, property rooms & evidence rooms among many others. This unit contains a prefilter Ultra Carbon canister. It does not contain a HEPA filter. Best used where Heavy VOCs are a concern. Coverage for 36,000 ft3 (provides 1 ACH/hr). The steel tube cart and heavy duty tires allow for easy transportation even in rugged environments. Comes with a 5 YEAR Limited Warranty. Amaircare 6000V Cart Airwash Air Scrubber is a heavy duty portable VOC air purifier featuring filtration for a wide variety of industrial applications: evidence rooms and property rooms, construction & renovation, fire & mold remediation, marijuana dispensaries, welding and print shops, among many others. 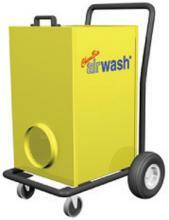 Best used where heavy VOCs, odor, gas, virus and bacteria area concern over particulate matter. Featuring perfect seal technology. Coverage for 36,000 ft3 (provides 1 ACH/hr). The steel tube cart and heavy duty tires allow for easy transportation even in rugged environments. Amaircare air cleaners (airwash, air scrubbers, chem bio airwash) are individually tested to meet HEPA standards and beyond. 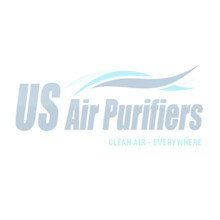 This means that the complete air cleaner system will remove at least 99.97% of all particles as small as 0.3 microns (1/300th the size of a human hair or 0.000012 of an inch) that enter the air cleaner and are also 95% efficient at 0.1 microns. 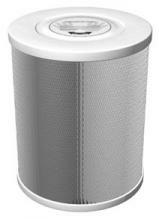 The 6000v is built to provide air filtration for large commercial spaces. 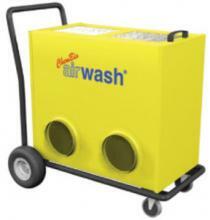 Front Outflow – direct and redirect clean air as needed with the versatility of front swivel castors. 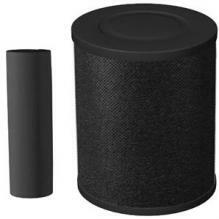 Perfect Seal 3 Stage Filtration – capture large particulate and VOCs with the first stage foam prefilter, harmful and irritating particulate are trapped with the second stage HEPA filter that locks in place and chemical/gas pollution are adsorbed by the third stage carbon VOC filter. Standard Third Stage VOC Canister – 1550 g of granulated carbon provide vital capture of chemical and gas pollution. Ultra VOC Filter Upgrade – replaces the HEPA Cartridge with a 9475 g canister of granulated carbon for cases requiring extreme chemical and gas pollution capture. Customized treated Carbon fills available upon request. Optional Stage Two Canister: Granulated Carbon pellets incased in steel mesh canister (9475 g = 10,422,500 m2 adsorption surface area) along with 100 sq. ft. Pleated Easy Twist HEPA Cartridge. This configuration is for moderate VOCs. Optional Stage Three: ½” non-woven polyester filter media imbued 200% with Activated Carbon (164 g = 180,400 m2 adsorption surface area). This configuration is for low VOCs. 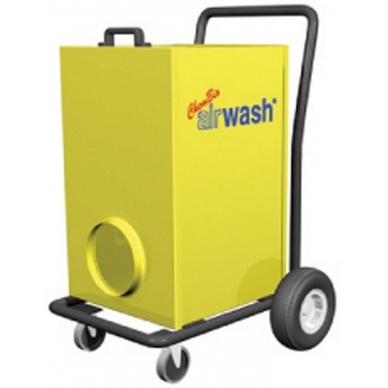 6000 V air wash can be custom designed to solve numerous air purification needs and is frequently referred to as an air scrubber, air wash, Chem Bio Airwash, Heavy Duty or Commercial air purifier. 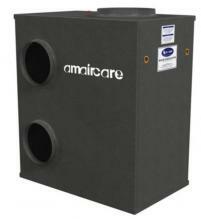 Download Amaircare 6000V Maintenance by clicking here.